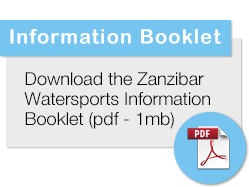 Zanzibar Watersports is a diving and fishing operator in Zanzibar. We also offering snorkeling, dhow cruises, kayaking, windsurfing, waterskiing, parasailing, jet-skiing, kiteboarding and other marine activities. The dive operation comprises of 5* Gold Palm resorts at Paradise Beach Hotel and Kendwa Rocks. We can also serve you from a number of other hotels. All of our centres offer the full range of PADI courses from Discover Scuba Diving, for people who have never dived before, up to Open Water Scuba Instructor for those who have decided to take the plunge and go professional. We were one of the first dive centres to be recognized by the diving safety organization, DAN Southern Africa, when they introduced the ‘Diving Safety Partnership’ scheme and we actively support the local re-compression chamber by helping to provide funds and staff. 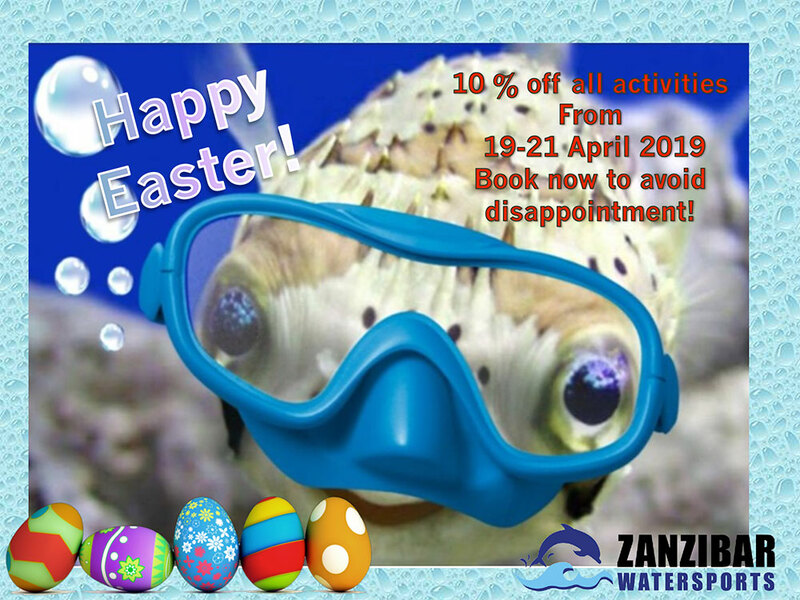 We are known throughout East Africa as a company that is professional, eco-friendly and dedicated to safety, and as a result have people traveling from all over the world to dive with our experienced multi-lingual instructors time and time again. The crystal clear tropical waters surrounding the island of Zanzibar are home to some of the world’s most diverse sea life and colourful reefs. At Mnemba Atoll marine park turtles are a common site and are used to seeing divers. At least three pods of dolphins live in the area and are seen on almost all trips and the majestic whale sharks migrates past the island twice a year. Around the same time of year whales can be seen and a pod of rare humpback dolphins have been sighted many times. These strange creatures number only twelve hundred in the world and we are lucky enough to have around forty in the area. Join our Zanzibar Seafari full day excursion including snorkeling at Mnemba Atoll followed by a delicious seafood and mixed grill barbeque on an idyllic beach.